Chive TV, a digital media company under the Chive Media Group, will have its content streamed to more that 18,000 gas stations as the result of a new partnership with GSTV, a national video network that works with fuel retailers. Since it’s the spookiest time of year, TheWrap has rounded up some of TV’s best Halloween-themed episodes (in no particular order) for your post-trick-or-treating binging. Who can forget Chandler’s pink bunny costume a la “A Christmas Story”? or Ross’s potato — sorry, spud-nik — outfit? And, yeah, Sean Penn was in this episode, too. All these things plus Rachel freaking out about her maternal instincts puts this episode in the Halloween history books. 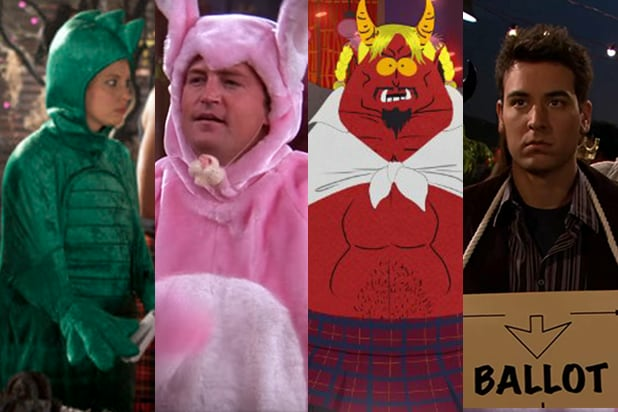 Of all of BK99’s Halloween-themed episodes, an office poll brought the third incarnation to the top. In the 99th precinct’s third annual Halloween Heist, the teams shake things up by looking for the same object for bragging rights and the title of Amazing Detective Slash Genius. Though “The Office” has several Halloween-themed episodes throughout its nine seasons, the fifth episode of Season 2 was the first and remains a standout. Michael has to choose one person to lay off, and Jim and Pam try to get Dwight hired somewhere else. A zombie outbreak set to an endless loop of ABBA’s greatest hits is all we need to say about this one. Things got really scary for the boys at Paddy’s Pub when they found out Dee was pregnant — and suspect one of them could be the father. Before getting deep into its dark Season 2 storyline, “Buffy the Vampire Slayer” aired what is arguably the best of the series’ three Halloween-centric episodes, simply titled “Halloween.” The plot centered around the majority of the residents of Sunnydale all being turned into real-life versions of the costumes they were wearing. This included Buffy, Xander and Willow, who became a Victorian noblewoman, army sergeant and ghost, respectively. Don’t worry, Giles, Cordelia and Angel found a way to work it all out in the end. When Satan throws a members-only Halloween party in Los Angeles, Butters summons the ghost of Biggie Smalls. Late Crocodile Hunter Steve Irwin also shows up. It’s an unforgettable night. The McKinley High Glee Club put on a production of “The Rocky Horror Picture Show” that even Sue Sylvester couldn’t sabotage. Barry Bostwick and Meat Loaf, both in the original 1975 movie musical, also make cameo appearances. While this episode didn’t air around Halloween, the homage to slasher films is good enough for us to allow it to make the list. Also, that janitor is plenty spooky enough for Halloween.